VANCOUVER, Oct 25 (Reuters) – Some mining investors are criticizing Barrick Gold for agreeing to Tanzanian demands in its proposed settlement of a dispute between its Acacia Mining unit and the Tanzanian government, saying this could embolden other host nations to press for bigger concessions from miners. Several shareholders said this week that by agreeing to hand Tanzania 50 percent of the "economic benefits" from Acacia's three gold mines in the East African country, Barrick may have set the baseline for what nations may demand from global mining companies, possibly slowing mine development. Barrick, which owns 63.9 percent of Acacia, reached a framework deal last week with Tanzania under which Acacia would hand the state a 16 percent stake in each of its three in-country mines, part of the economic benefits, including taxes and royalties, that would go to the government. Acacia would also pay the government $300 million. "The 50 percent is not a good precedent by any means for a very risky business," said Chris Mancini, an analyst at Gabelli Gold Fund, which owns shares in Barrick. Miners would generally want more than half the profits from mines to give them the incentive to build operations in geopolitically risky parts of the world, Mancini said. "They are disincentivising development. Barrick's really imperiling the rest of their operations. They are imperiling the industry," he said. 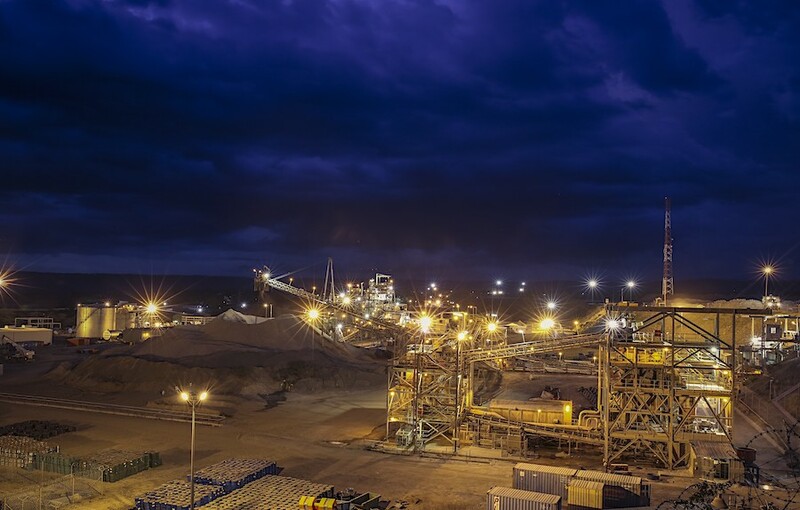 Barrick, which is the world's biggest gold producer and has operations on five continents, said the proposed agreement complies with Tanzania's new mining law, which requires the government to hold a stake in mining operations. "That is not a concession, that is complying with the law," Barrick spokesman Andy Lloyd said. Tanzania was long seen as one of Africa's brightest mining prospects but new laws have slowed fresh investment amid government efforts to claim a larger slice of the pie. It has accused Acacia of understating its gold shipments, serving it with a $190 billion bill for unpaid taxes and halting most of its exports. Barrick "are showing a willingness to cave to ridiculous demands," said another Barrick shareholder who declined to be identified due to company policy. Lloyd said the alternative to an agreement, which requires Acacia's approval, would be lengthy international arbitration. Barrick believed a partnership with the government would "deliver better outcomes and greater stability for shareholders in the long run," he said. Barrick also owns mines in the Dominican Republic and Papua New Guinea, considered higher risk by investors. It has been teaming up with partners, as seen at its Veladero mine in Argentina and the Porgera mine in Papua New Guinea, to reduce risks. The settlement with Tanzania comes at a time of rising so-called "resource nationalism," notably in countries such as Indonesia and Tanzania, in which host governments seek a bigger financial cut from mines. Some Barrick investors voiced confidence in the company. Barrick would likely walk away from a deal if it was too onerous or set an "unwanted" precedent, said Joe Foster, portfolio manager at Van Eck Associates, Barrick's biggest shareholder. "The company has shown a discipline to the bottom line that I believe they will respect," Foster said. And some investors said both mining companies and shareholders should get used to such demands from host nations. "Some of the richest deposits are in some of the more difficult jurisdictions. It is something you have to be able to deal with and handicap as an investor," said Dan Denbow, senior portfolio manager at USAA Investments, another Barrick shareholder. He added that handing over 40 percent to 50 percent of economic benefits to a host government "is not that unusual." (Reporting by Nicole Mordant in Vancouver; Editing by Frances Kerry).